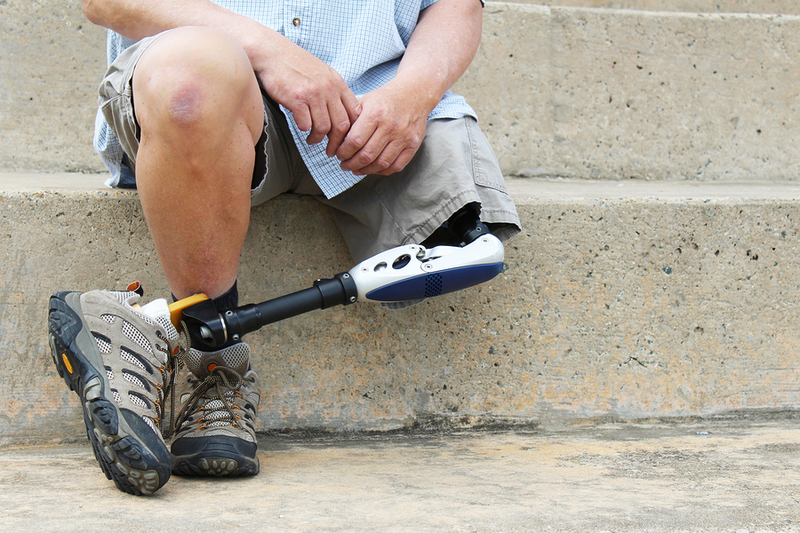 A pioneering Indian organisation, which started a charitable unit to provide artificial limbs for the poor with foot and leg disabilities, seeks collaboration with Malaysian and other Asean NGOs as well as medical institutions. Prem Bhandari, the chairman of Jaipur Foot USA, said the company had already joined forces with a number of countries – including two member states of the Asean group, Myanmar and Vietnam, where it had held camps with the support of the local authorities to help people with disabilities and supply them with prosthetic limbs to ease their daily living. “We’ll be happy to cooperate with the local organisations and the government in countries such as Malaysia, Indonesia and other Southeast Asian countries. “We are always open to working with them to help people who need such support. We would have to rely on logistics support which local organizations can provide us to carry out our programme,” Bhandari said in an interview at the sidelines of a seminar and an exhibition at the Indian consulate general, here, recently. The event, on the support provided to people without legs and feet, was held to commemorate the 150th birth anniversary of Mahatma Gandhi, who led India’s non-violent freedom struggle against British colonial rule. Bhandari said that Jaipur Foot had organised camps in 12 countries. Besides Myanmar and Vietnam, such camps were held in Bangladesh, Nepal, Iraq, Malawi and other countries, with support from India’s Ministry of External Affairs, which also coordinated the humanitarian assistance projects. Bhandari recalled that the company’s humanitarian projects include the provision of 633 limbs per camp in Iraq. “We were busy fitting legs and feet for people even as the armed conflict was raging in Iraq and bullets were flying past our staff. “We are going to hold camps for fitting limbs in Tanzania, Egypt and Senegal next month. Mongolia had also shown a keen interest in having such a camp. Bhandari said, Jaipur Foot disseminated Mahatma Gandhi’s message of humanity throughout the world by providing mobility to them. The company, headquartered in Jaipur in India’s state of Rajasthan, was founded by D.R. Mehta, who cherished the vision of seeing all humanity with limbs. Jaipur Foot had also worked with engineering students of Stanford University to develop the ‘Jaipur Knee’, a cheap but stable knee joint replacement made of self-lubricating, oil-filled nylon and is both flexible and stable, even on irregular terrain. It was even featured in Time magazine and called the 50 best inventions. The ‘Jaipur Knee’ is a godsend to poor patients in the developing world whose options are often limited to a titanium joint which can cost US$10,000 (RM41,145), or crude models that don’t work very well.